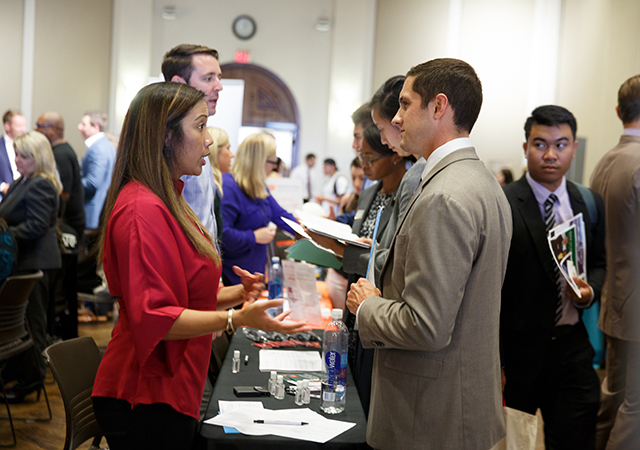 Tuesday, February 26, 2019 from 11:30 a.m. to 2:00 p.m.
Join us for USD's Spring Career and Internship Fair, our largest recruiting event on campus in the Spring semester. This is your opportunity to chat with over 100 employers about career opportunities. Multiple industries will be present — a great event for all majors to attend! Research who is coming to the fair by checking out our event on Handshake. Doing research before the fair will help you make the most of your time as you navigate the room full of employers. Come dressed to impress with resumes to share. If you have never been to a fair and would like to prepare, visit any of our Drop-in hours across campus!